October 8 and October 22 will see the last two events of the 2006 Belcar series (Spa and then Zolder), and ProSpeed Competition will be present at both events, with both of its 996 GT3-RS/RSRs – as Rudi Penders and Franz Lamot chase Georg Severich’s Class 2 leading BMW. 2. R Penders / F Lamot (Porsche) 57 pts. But the team is already working towards 2007, and has worked out its strategy for the revised regulations. “It’s good to know that the organisers have faced reality and listened to the competitors, and that they didn’t turn a blind eye to the facts,” says Rudi Penders. “The big Class 1 cars sure are spectacular but with less than a handful of them available it made no sense to keep that class alive, not from an economic point of view, nor from a racing point of view. 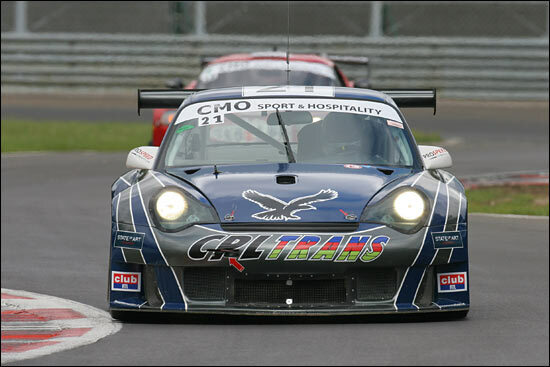 “Under the new 2007 rules, cars complying with or comparable to the FIA GT2 class rules will become the main attraction, with GT3-style cars making up the second division. This should make for some seriously spectacular races, and while both Franz and I are looking forward to the challenge at the track, so is the team to the challenge behind the scenes and at the workshop. Regarding the last two events of 2006, Penders promises to “take no prisoners”. Pascal Nelissen Grade and Christian Kelders will be back in their RS (right) this weekend, after an unfortunate Zolder 24 Hours in a GT3 Cup car: they retired temn minutes into the race after an accident.